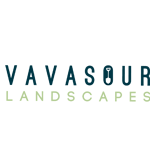 Vavasour Landscapes is a Marlborough based Landscape Design and Construction Company, specialising in garden design and outdoor construction. Stunning imagery throughout this responsive website highlights the beauty and quality of their work, while strategic calls-to-action help motivate site visitors to get in touch with their landscaping project. We knew we needed a web presence for our landscaping business but had no idea where to start. A friend recommended Charlie and his team at SunRoom Web Design. Right from the beginning we knew that they were going to help us come up with something really great that showcased our business – I just don’t think we had any idea just how special the finished product would be. The team at SunRoom were easy to work with, responded to all our questions in a timely manner, guided us when we got stuck and kept us on track throughout the project. We are so thrilled with the result and would highly recommend them.